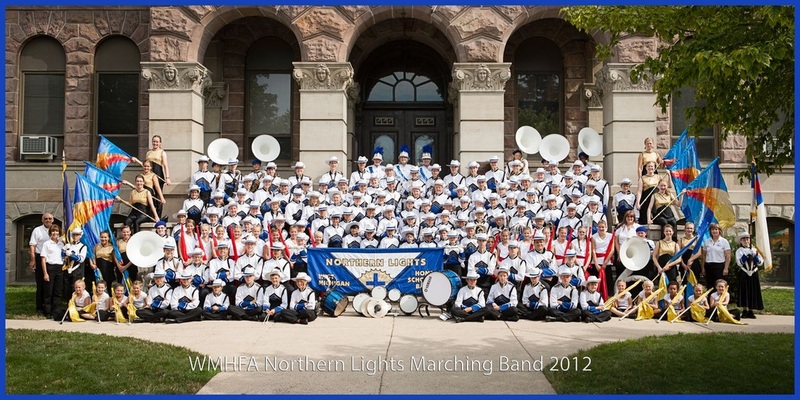 Northern Lights Home School Marching Band is an exciting opportunity for WMHFA students to let their “Light” shine before thousands of people each year. The Marching Band season begins with one week of band camp (day camp) and continues through the summer months. Students meet weekly on Wednesday mornings to rehearse for the parades they will be performing in. 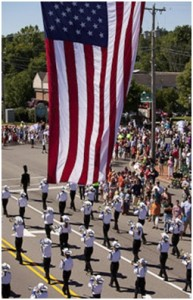 The Marching Band often performs at the Ionia Free Fair, and the Grand Haven Coast Guard festival as well as at several other “local” parades. In addition, in some years, the Marching Band goes on tour. Past tours include Philadelphia, Pennsylvania; New York City, New York; Washington D.C.; Atlanta, Georgia; and Gatlinburg, Tennessee. previous Concert Season. This band is available for ALL Band students who memorize the music and can march the routine while playing.